Just as phones and computers have been updated over the years to improve the way we work and communicate, the science of nanotechnology has upgraded the way we insulate through an advanced, patented thermal barrier coating line called Nansulate®. When architects Bleck & Bleck near Chicago, Illinois were renovating an 1800’s building for commercial office space, they were challenged with keeping the look of the original brickwork while upgrading the energy efficiency. Nansulate® coatings provided an easy, sprayable application over the brick walls, which improved the building’s thermal envelope. Additionally, the coatings are resistant to infiltration by moisture, dirt, and other contaminants, which typically degrade fibrous insulation over time. Nanotechnology is the manipulation of materials at a smaller scale than was previously possible. By manipulating matter at the nanoscale, materials have the ability to be built from the atomic level up with much less waste and can take on different attributes, such as silver taking on anti-microbial properties, or the ability to insulate in a much thinner layer. Nansulate® technology, in use since 2004, has been used everywhere from the Bangkok, Thailand International Airport to historical sites to buildings around the world. The technology uses a key ingredient that is micro-sized with a nano-sized internal architecture that inhibits heat transfer. This component is incorporated into a proprietary, high quality, clear, water-based coating, which provides a way to effectively apply the insulating component to a variety of surfaces. In testing, the coating has been shown to reduce heat transfer by 34.8%, and customers report between 20%-40% reduction in energy costs. 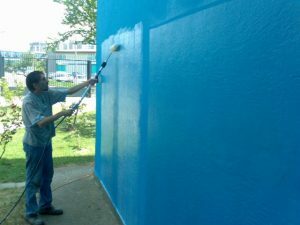 For more information, please call 0 751 475 6788, visit www.nansulate.co.uk, or contact Nanotech Coatings UK Limited at [email protected].